On today’s show, we’re continuing our coverage of the 32-bit GUI computers. We’ve covered the Apple Lisa, Macintosh, Atari ST, and now we move on to what some say was the ST’s bitter enemy, the Commodore Amiga. David and Jeff are just two collectors looking at things from that vantage point. Here, we take an informal look at personal computing history through the lens of eBay auctions. We’re joined again on today’s show by our special guest, Chuck Hunnefield! 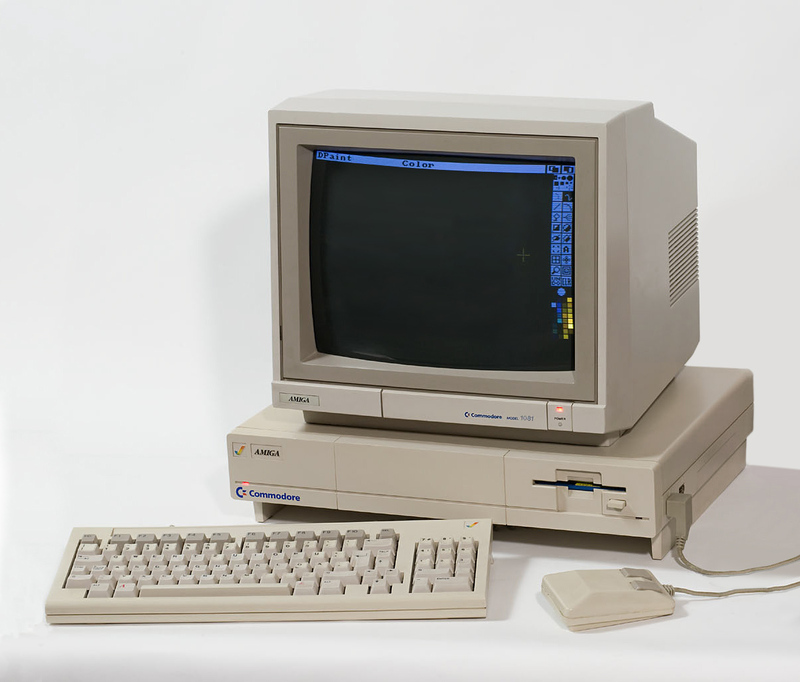 eBay Episode 8 – Commodore Amiga was posted on Friday, February 5th, 2016 at 7:59 am. This post is tagged Commodore and is filed under . You can follow the replies through the comments feed. Pings are closed but you can Leave a comment! A couple of things to add. First the issues with Toaster with the 3000 on its release were not a bus issue. Toaster does not use the Bus, but the video socket which is the same in all the big box Amiga models. Issue was that the 2000 used a flat backplane instead of the familiar L shape used for Zorro, ISA, PCI cards. To make the 3000 smaller the video slot was paced in line with a Zorro slot. This required it to have the L shaped backplane but the Toasters for sale had flat for the 2000. So people would take the backplane off to work them into a 3000. Second issue was the slot limits of the 3000. It had only 4 total slots and the Toaster is a double board. So that takes up two leaving only two left. Since you need a TBC with the Toaster that now takes up another slot leaving you with potentially just one more slot. Third issue then becomes heat, the 3000 is smaller, tighter, and now you have filled up the slots. Second is Half-Fast RAM (though we all called it slow MEM. Amiga had the shared RAM with the graphics chips called Chip MEM. On the 1000 that was 512k and it shipped with half of that RAM on the motherboard. The rest of the Chip MEM was installed in a special center front slot. The 500 continued this trend. The 1MB Chipset was in development so the motherboard was developed with 512k RAM on board and the ability to add the second 512k on the underbelly slot under the machine. Problem was that when the 500 released the new Agnus was not. So the computer came with a graphics chip that could only access 512k. If you added the underbelly RAM card to get 1MB that additional RAM was not chip men (Agnus could not access it) but not true Fast MEM where the CPU has full unfettered access to the RAM. So it was somewhere in between, and the 500 would benefit with a speed increase from it, but not as much of one as you get from Fast RAM added to the side expansion port. A Blueberryware theme › 41 queries in 0.359 seconds.